Peter is Chief Executive Officer and largely responsible for building the current great team of partners, staff and stakeholders to launch the company’s products. Peter was inaugural Chair of the Ontario Energy Association (OEA) in 2002. In addition to his role at iSolar, Peter continues to apply his more than 20 years’ experience as a regulatory expert to providing highly specialized advice and counsel to energy project developers, government agencies, and industrial/commercial clients. Rob is a director of four private renewable energy companies. In 1998, prior to focusing on renewable energy and sustainable development Rob helped develop North American free markets for the procurement, transmission and sale of natural gas. Rob has 30+ years of experience in corporate start ups, energy consulting, government and regulatory affairs, supply chain management, transmission logistics & tariffs, land management, natural gas marketing, wind and solar power development and other sources of recyclable clean energy. Rob continues to lend his experience to several renewable energy Boards both public and private dedicated to creating the clean energy economy. Since 2004, Rob has secured private equity financing for wind, solar and run-of-river power projects. Located in Ontario, Alberta and British Columbia, they are currently producing more than 500 megawatts of clean renewable power or are under late stage construction. Frank's career spans 25 years in financial services, contract negotiation, real estate development and the energy sector. His private sector experience was followed by 19 years as a Member of the Ontario Legislature where he served in senior leadership roles including Minister of Transportation, Minister of Tourism and on the Management Board of Cabinet. He also served on a number of Parliamentary Committees, including Justice and Public Accounts and was Vice Chair of the Select Committee on the Proposed Transaction of the TMX Group and the London Stock Exchange Group. As President of Klees & Associates, he provides advisory and government relations services to public and private corporations. Peter is a career environmentalist with 25 years in the energy/electricity sector. 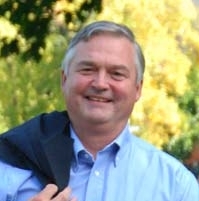 Prior to founding Love Energy Consultants in 2009, Peter was Chief Conservation Officer for the Ontario Power Authority. Peter spent ten years at Summerhill Group, with his last position being Chairman. During his tenure at Summerhill Peter served as the Executive Director of the Canadian Energy Efficiency Alliance. He has sat on the boards of several businesses and non-profit organizations and holds an MBA from the University of Toronto. In 2007 Peter was given the prestigious Sustainable Buildings Canada – Lifetime Achievement Award. 25 years of running his own security company took Tom into many hot attics. That experience inspired him to design and plan the manufacture of the Solar Powered Attic Fan.